We are more than just 'the people who film weddings', as you are not just another couple getting married. Your wedding is unique in many ways; from people to decor, vows to speeches. We tell the story of your day, not just film it. We want to get to know you a little, find out what is important to you and what you will treasure most, when watching your wedding film in the years to come. We craft wedding films whilst being discreet, so that you and your guests appear natural and relaxed on your finished wedding film. LET OUR WEDDING VIDEOS SPEAK FOR THEMSELVES! We are a husband and wife team that have been together since we were teenagers and are still very much in love too. Being able to spend time doing something we both love, for another couple in love, is a joy. It also means we work seamlessly together, whilst also seeing your day through two individual sets of eyes. Our discreet, creative approach to documenting your wedding, ensures your guests appear natural and hardly know you are having a film made until they get to enjoy watching it. Take a look at our example Yorkshire Wedding Films and let them demonstrate our amazing creativity, story telling and why we are Harrogate Leading Wedding Film Makers! Two Wedding Videographers will spend the day with you, from Bridal/Groom Preparations until shortly after your First Dance. Cinematic Wedding Featurette (8-10 minutes in duration). One copy in Full HD on USB. Password protected link for your Featurette Film Premier. Social Media sharing link after your personal Premier. Teaser Film (1-2 minutes in duration) ready 2/3 days after your wedding. Cinematic Feature Film (30-45 minutes in duration). One Full HD copy on USB. Password protected link for your Feature Film Premier. Most example wedding videos you will see on our website are 'Featurette Films' with a runtime of 8-10 minutes. These provide a good duration to include much of your day and can be viewed and shared online with ease. Our 'Feature Films' have a much longer runtime (30-45 minutes). We have a few examples online of these too. This length of wedding film enables us to include so much more footage of your day, especially more moments from your Ceremony and Speeches, which we can often include in full. The Teaser video (1-2 minute) will be made available online just a couple of days after your wedding. These are a short and highly shareable video to enjoy a brief look back at some of the highlight moments. Booking is easy, first email to ensure your wedding date is available with us. May-August is a very busy time and we only accept a maximum of 15 bookings per year, to enable us to provide our couples with our very best attention. You can use the Contact Form page or email us at: hello@red-lime.co.uk. If you would like to meet and have a chat before you book, just let us know - we love to talk about what we do and nothing beats having coffee and talking! Harrogate's Leading Wedding Film Company - take a look at our recent videos to see why! 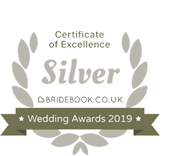 If you are looking for Wedding Photographers, there are a few outstanding in their profession, ones that we have had the pleasure to work with on several occasions. They do book up fast as they really are amongst the top in the area. Red Lime is a small family business based in Harrogate, North Yorkshire providing high quality video for weddings, music video and commercial video. We also provide photography for events. With over 30 years in the design industry; a critical eye for detail, light, balance, composition and colour is what makes our work stand out. But do not just take our word for it, look at our previous work either on this website or on our YouTube and Vimeo pages and let them do all the talking about how creative we are. Why are we Harrogate's Leading Wedding Filmmakers? Simple, year on year, we film the greatest number of amazing weddings at stunning venues.